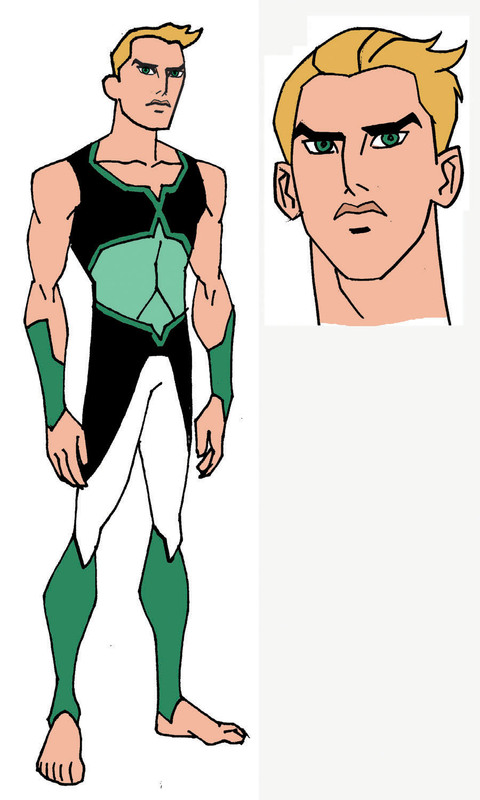 Character Design – Young Justice #14 – ATLANTIS! 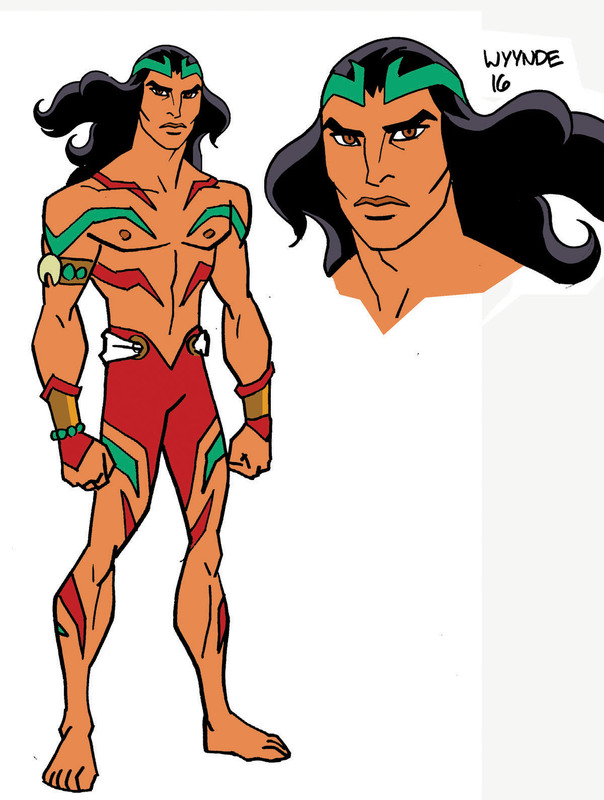 So the last time I did an installment of my Character Design series, it was what was meant to be the first of two parts on our Atlantis storyline from Young Justice #14/15. And… I’m just getting to it now. Wait, when did I start inking Young Justice interiors in addition to penciling them and penciling and inking the covers? Oh, that’s right, issue #14. It’s like that made me busy or something. So, at long last, here we go! For anyone who would like to read more about these characters both as they appeared in Young Justice and their counterparts in DC Comics comic book continuity, I’ve provided links to the relevant pages on the always useful Young Justice Wiki! First off, Aqualad’s parents. His mother Sha’Lain’a was described as age 34, blonde with GOLDEN skin (not Caucasian), prominent gills – more-so than Aqualad – and webbed fingers and toes. 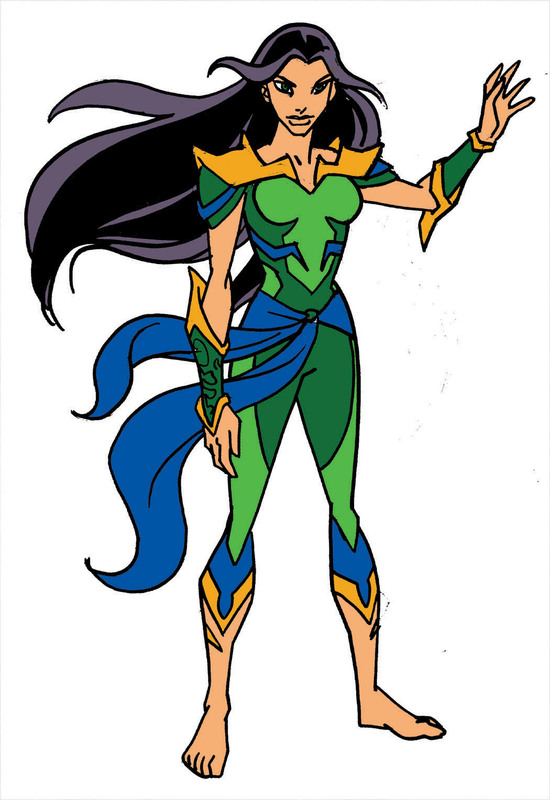 And we know from Aqualad’s description that she was VERY beautiful (granted, through a son’s eyes, but still…). I originally drew her with shorter hair to better show of the gills, but Greg wanted longer hair so that changed in the actual comic. And then as it turned out you never get the best look at her in the comic anyway. She appears on one page with several panels on it and there are always many speaking characters in each panel, so there was never an opportunity for a good close up. Oh, well. 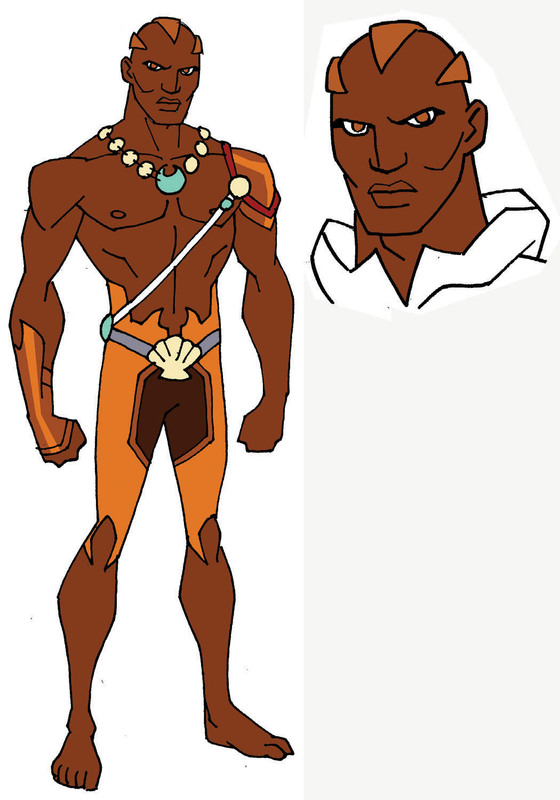 Aqualad’s father, Calvin “Cal” Durham, was described in the script as age 40, African-American, gills, webbed fingers and toes. Shaved head. Atlantean garb. 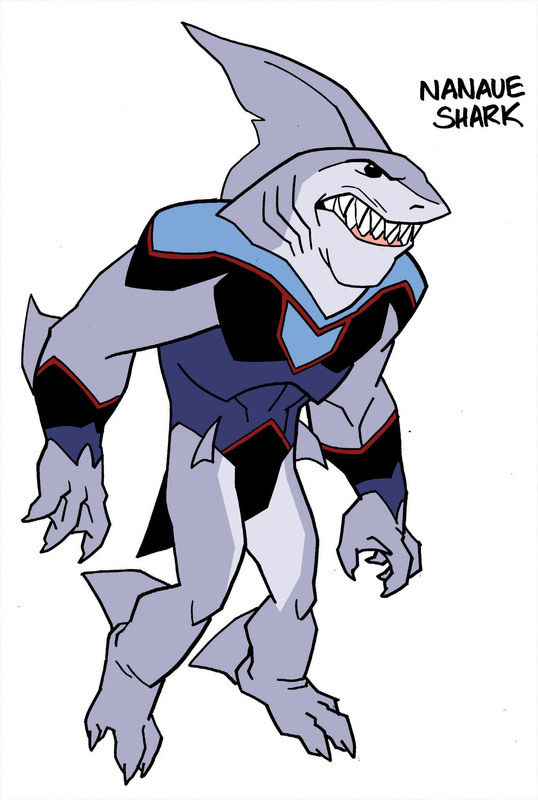 That was pretty straightforward, and I tried to design an outfit for him in keeping with what we’d seen of Atlantean fashion on the show. 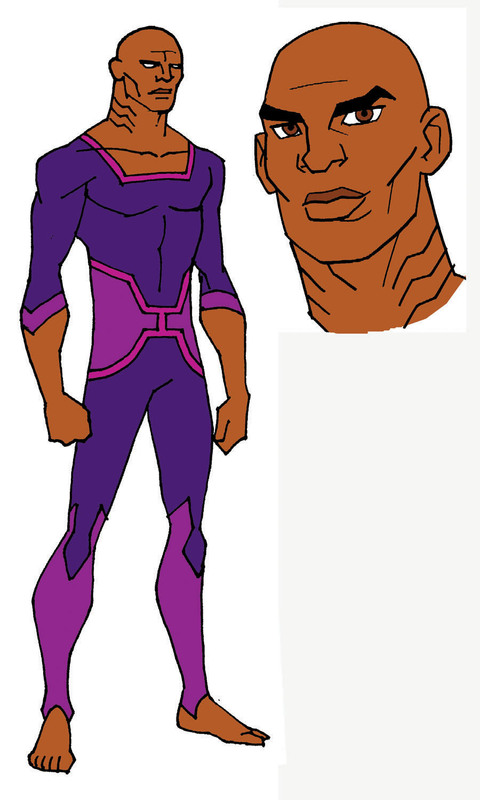 Next up were Aqualad’s friends, many of which had already been designed for the show (like Lori Lemaris, Topo, La’gaan, Garth and Tula), but some had not. Some of them were anthropomorphized mer-people, which were the most interesting design-wise. 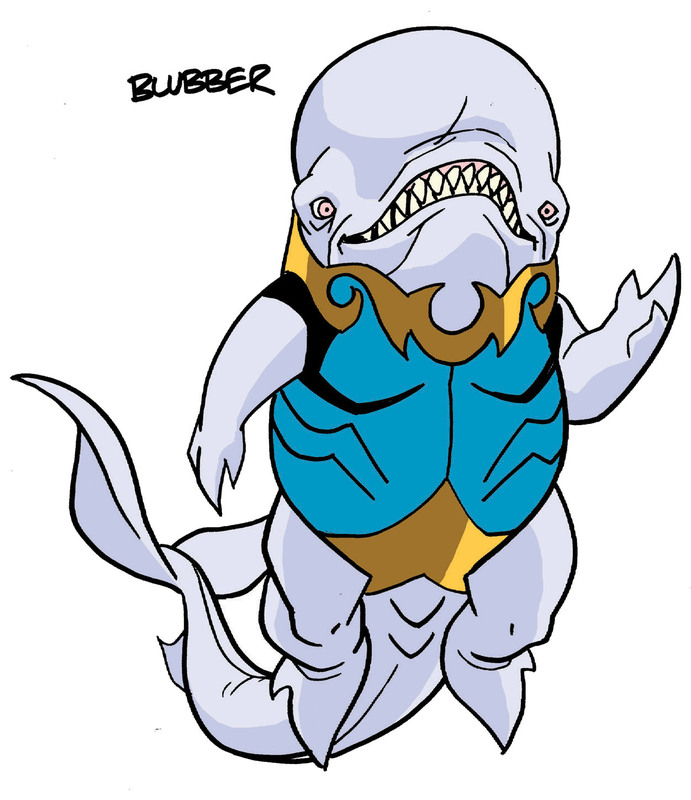 I’d seen versions of Aqualad’s whale-buddy Blubber that were closer to human with a whale head, but I wanted something closer to whale. But my first attempt didn’t go far enough and I did a second version that was even less human. In addition losing the legs and the teeth, I added more detail to version 2 to make it seem less”cartoony.” I was determined to keep clothes on him as it’s a pet peeve of mine with intelligent aliens or other non-human creatures in comics that humans seem to be the only ones who feel the need to wear clothes. 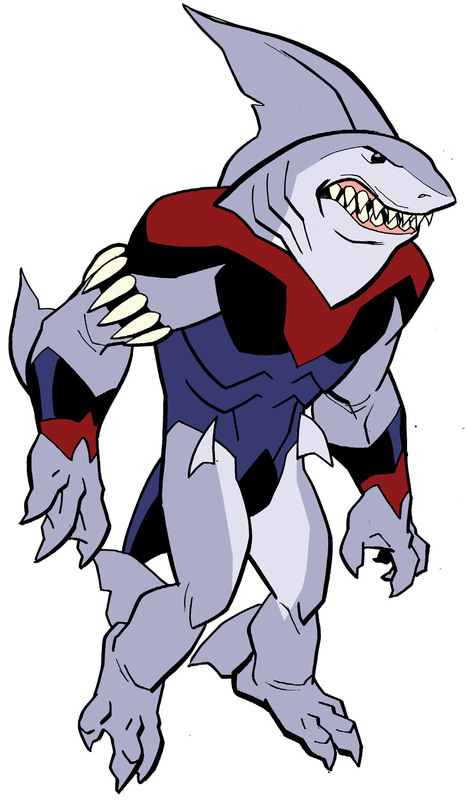 Nanue Shark was a younger version of the King Shark character. This was another one that required two passes. The biggest challenge was that Greg was very concerned about the character appearing too cartoony, but it’s hard to get a look that is anything other than cartoony when it’s a shark head on a guy’s body. It doesn’t help that my character designs tend to be cartoonier than my finished page art, as I’m trying to design in broad, simple strokes that can be fleshed out with texture in a finished drawing. The revisions here are largely limited to losing the chin, making the teeth more irregular and like those of a real shark, and making the eyes a little smaller. 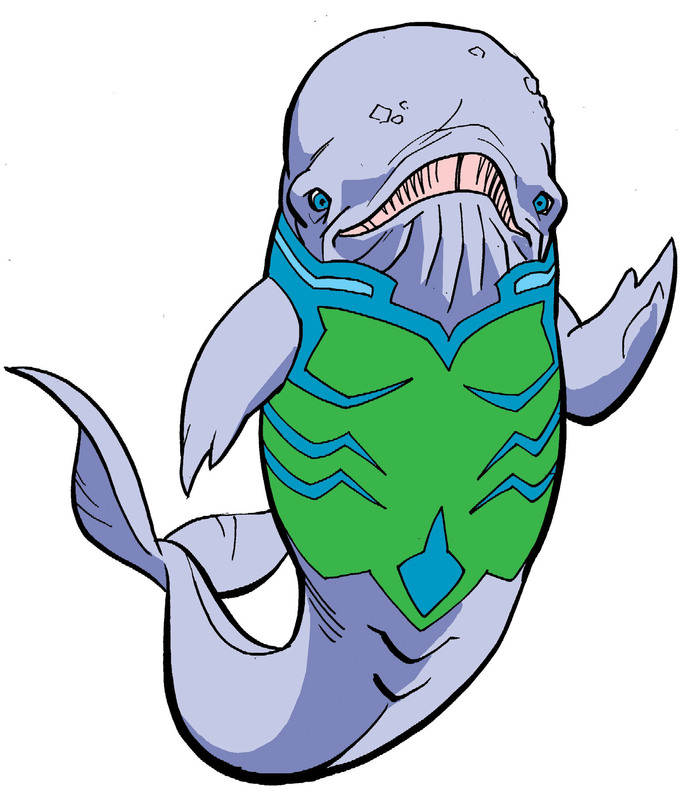 Then we had the humans of the group, who turn out to be part of a group of “purists” who are being manipulated by Ocean Master (do I need to post spoilier-warnings for a comic that came out a year ago in my blog entry about designs for that comic?). Here we see Ronal, Wyynde, and M’Chiste, all of whom are very loosely based on existing comic book characters. Loosely in the sense that it’s not much more than the name and perhaps a slight visual nod in the design. And rounding out the group we have Chian and Danuuth. The last character to be designed had to do with a land-based sub-plot involving T.O. Morrow and his robotic creations, specifically Jim Lockhart aka Red Torpedo. 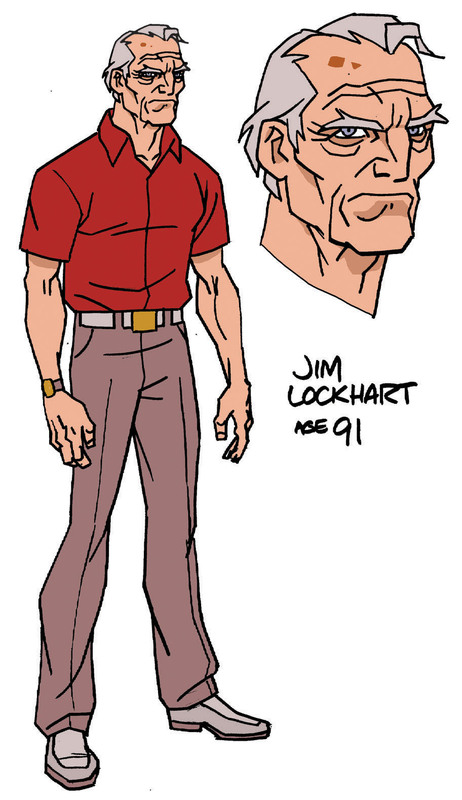 We’d seen an image of Jim Lockhart in his prime, but here was supposed to be an elderly man of 91. The trick was that while his human disguise was supposed to look older, his robot form underneath was unchanged so I couldn’t have him stooped over or do anything else to suggest a frail, elderly frame. I was stuck with a barrel-chested robust frame. Whew! That’s it! Finally we have completed our look at my original character designs for issues #14 & #15 of Young Justice. I promise we’ll get to the next story arc much, much sooner. You can find my previous Character Design installments here. Preview of Young Justice #15 – OUT WEDNESDAY! DC Comics has posted a 5-page preview of Young Justice #15, due out tomorrow, March 17. It’s the conclusion of our 2-part Atlantis storyline, written by Greg Weisman and Kevin Hopps, penciled and inked by myself, and colored by Zac Atkinson. 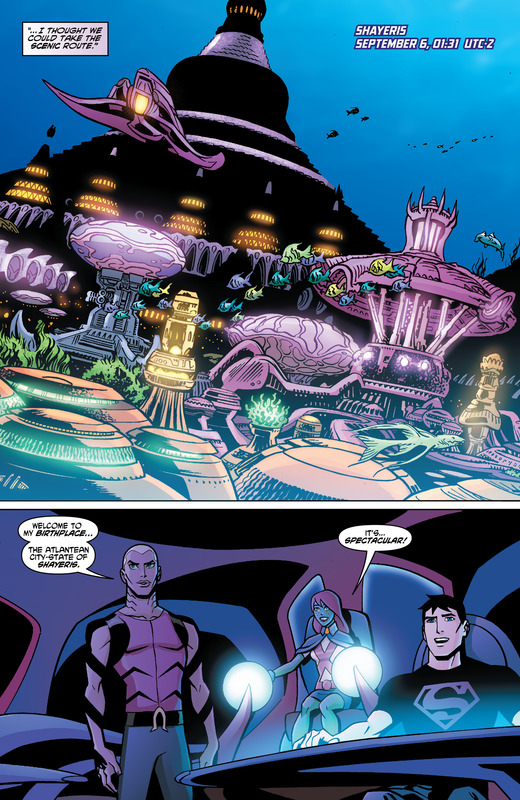 In last month’s Young Justice #14, Aqualad, Superboy and Miss Martian dove deep into the underwater kingdom of Atlantis. In issue #15, Ocean-Master has kidnapped Mera. 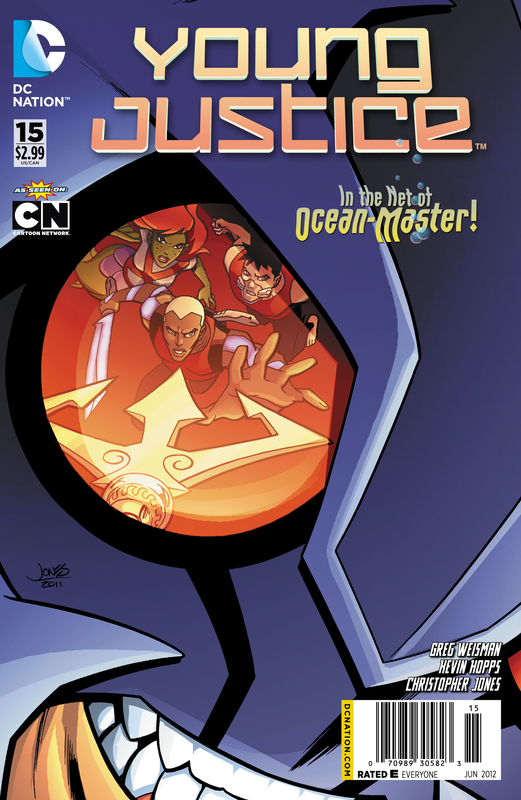 Together with Prince Orm, the Young Justice team members must figure out how to retrieve the Atlantean queen before Ocean-Master is successful in his plan of draining her of her powers and taking over the seven seas. Could this be the end of Atlantis as we know it? YOUNG JUSTICE #15 comes to you from the creative team of Kevin Hopps, Greg Weisman and Christopher Jones. Click here to see an exclusive preview of the issue, in stores on Wednesday. Then be sure to pick the issue up at your local comics shop or in digital form! Young Justice #14 out today! OK, I’m pretty excited about this one. Not only is it the start of a new storyline set in Atlantis, but this issue marks my debut as inker of the interior of the book! I’ve been inking the covers since I started on the series, but this is the first I’ve had a chance to ink any interior stuff at DC. Taking on this additional step in the artwork has given me a chance to futher tighten up the rendering as well as add greater detail to the finished pages. This was a challenging story to start but I think the comic really benefited, as there was a ton of Atlantean architecture to play with, as well as some epic scenes with a large cast of characters. Check it out, and I’d love to hear from you all on what you think of not only the artwork but this new storyline! As always, you can pick up the comic in digital form or at your local comic shop, and questions and comments are always welcome! 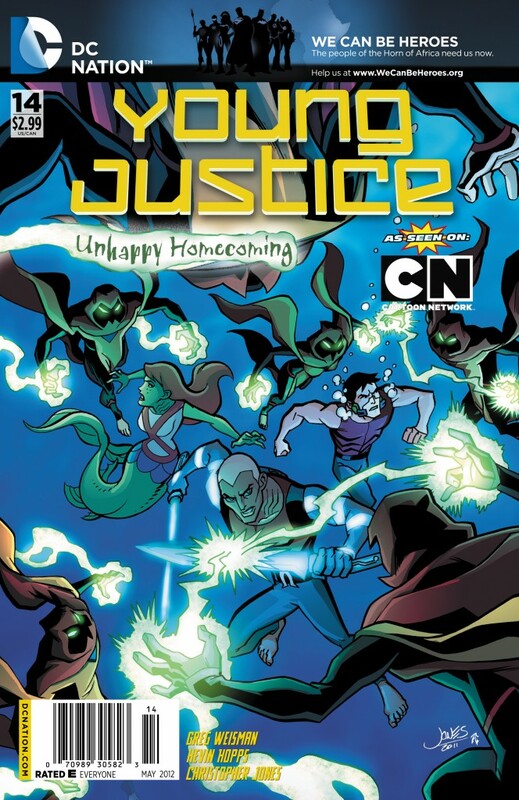 Young Justice | Christopher Jones | March 21, 2012 6:04 am | Comments Off on Young Justice #14 out today! Preview of Young Justice #14 – OUT WEDNESDAY! DC Comics has posted a 5-page preview of Young Justice #14, due out tomorrow, March 21. 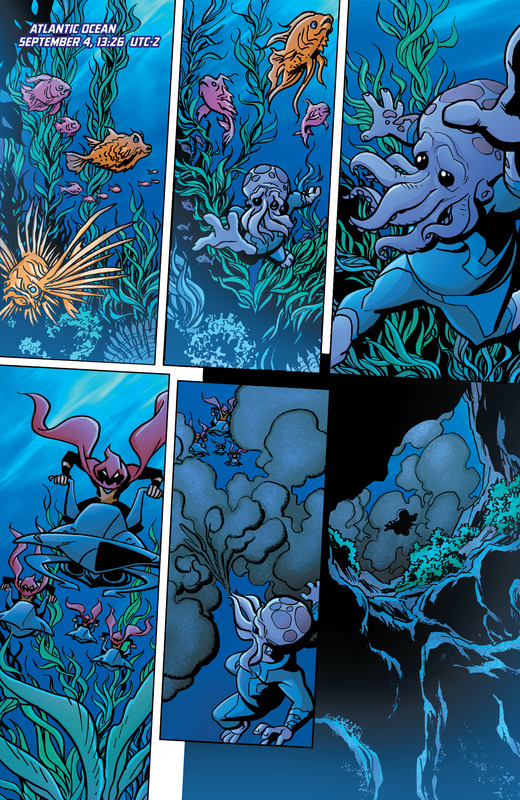 It’s the first part of a new Atlantis storyline, written by Greg Weisman and Kevin Hopps, penciled and inked by myself, and colored by Zac Atkinson. That’s right, and now inking the book in addition to penciling it starting with this issue, and I’m pretty excited about it. I’ve posted a few pages from the preview below, and you can see more pages at the DC Comics site. Then be sure to pick the issue up at your local comics shop or in digital form! 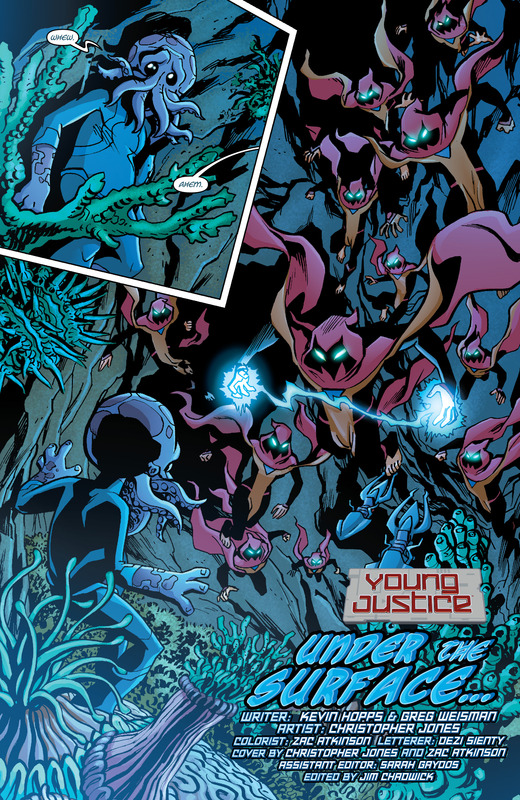 Young Justice | Christopher Jones | March 20, 2012 9:48 pm | Comments Off on Preview of Young Justice #14 – OUT WEDNESDAY!